Jewelry is like the icing on the cake in terms of an outfit, it’s that extra sweetness that makes it super yummy! Today, I am adding lots of silver shine and sparkle to elevate my outfit. 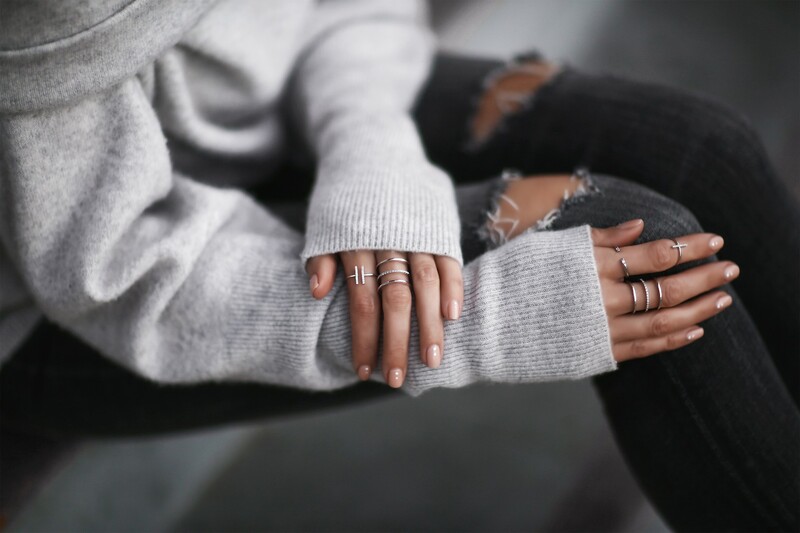 I adore the look of stacking rings and wearing them on multiple fingers – it is simply candy for the eyes! Same goes wearing multiple earrings. 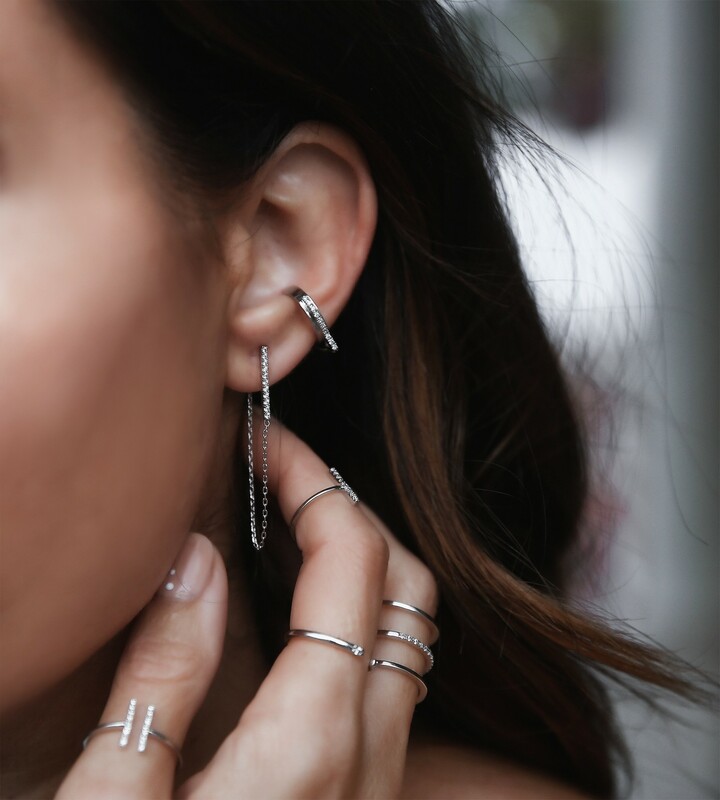 Who ever created ear cuffs is a genius! Being able to have the look of a piercing without the actual pain is amazing and I am a huge fan! All the pieces I am wearing today are from Astrid & Miyu. Their pieces are contemporary and speak to an aesthetic that gravitates towards clean lines. 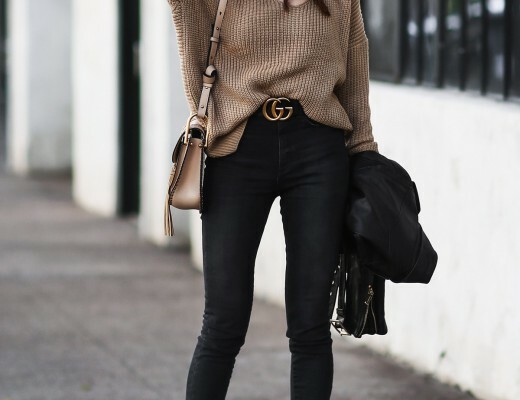 I am also a fan of how their pieces mix and match so easily! Special thanks to Astrid & Miyu for partnering on this post. Stacked rings are my favorite!! 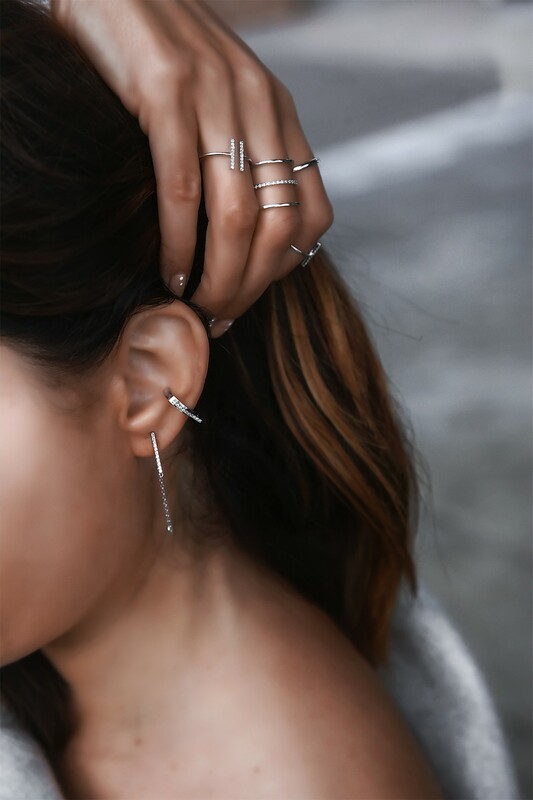 Love the ear cuffs as well! Nice rings. They add a nice touch to every look! Love this! What nail polish are you wearing? Hi Erica! What are you using to get your skin so glowy😍😍😍?